Editor’s Note: Participants at Offline Camp Oregon had diverse backgrounds and interests, ranging far beyond the Offline First approach that we came together to discuss. Through short passion talks, campers shared with us some of the hobbies, projects, and technologies that excite them. Here’s a taste of that passion for you as a preview to our upcoming events. Hackathons are terrible — but they don’t have to be. I used to be Co-Captain of a Code for America Brigade in Burlington, Vermont. The goal of the Brigade, called Code for BTV, was to facilitate sustainable collaborations on civic software and open-data projects between coders, designers, and both governmental and non-governmental organizations. 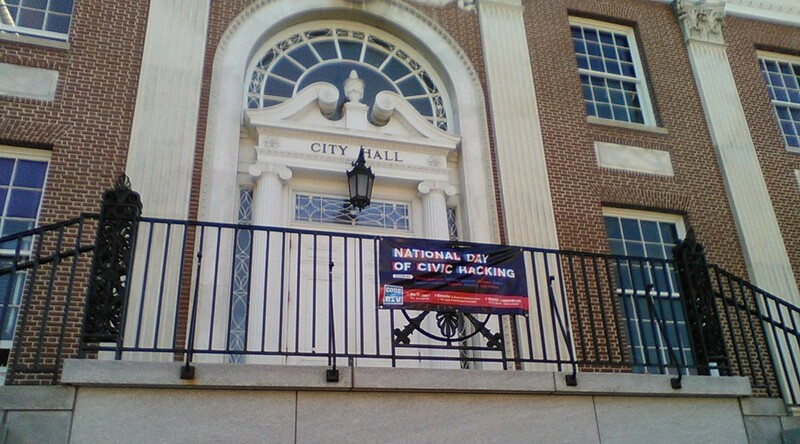 National Day of Civic Hacking banner in front of Burlington, Vermont City Hall. Watch the video to learn more about our approach and its results.